Lightning Jack's #3 on the Manasquan River offers a unique and beautiful venue for your fundraising events. Besides a wonderful view of the river, we also offer a large covered area to hold your event, room for tents, bounce houses, open area tables and dancing, along with ample parking. We have two bathroom facilities, and plenty of access to water and electric. Our boat ramp makes the venue perfect for everything from Duck Derbies to Kayak/Canoe/SUP races. 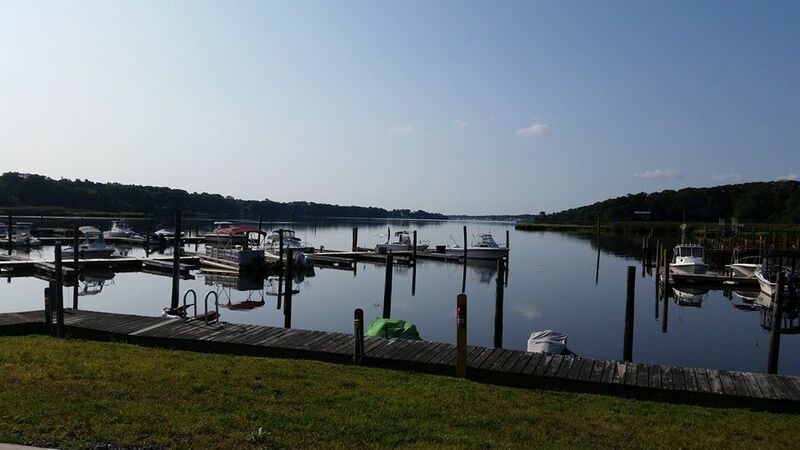 We also have dock access perfect for running a kid's fishing or crabbing event. Call our offices for more details. Our location on the Manasquan River was the third to be acquired by Mr. John Woolley. It sits in a protected cove at the head of the river, directly adjacent to the Manasquan River Wildlife Management Area. We are just over 5.5 miles from the mouth of the Manasquan Inlet. Our area of the river tends to be quite calm and the water brackish. We experience no ripping currents or heavy boat traffic. The river itself offers plenty to do for everyone. There are places to water ski or tube with the family, drop the line and go fishing, beach and hang out on either of two islands, anchor and relax and in any of the many small coves, or try your luck with some crabbing. Nature lovers will fall in love with the birding opportunities. All the kids fall in love with our ponds which are overflowing with frogs every summer. A Perfect Venue for Your Fundraising Events! Short Term Sport Ports Now Available. Click for Info!